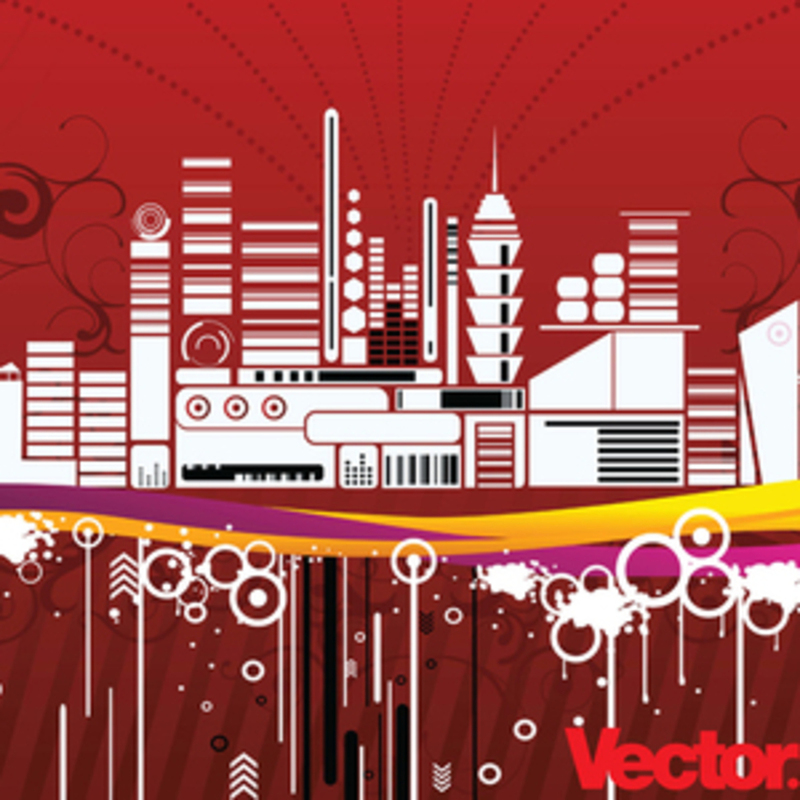 Free Vector illustration of a downtown urban scene. Urban life in cities as New York, Los Angeles, Tokyo, Dubai, Hong Kong or Shanghai starts every day and ends each night under the watch of worldÃ¢â¬â¢s most amazing architectural structures. The skyscraper skyline is the fingerprint of a city.